Add a 2-pack of Rada Dishcloths? FINALLY! After months of searching, we are proud to introduce our 4 piece non-scratch utensil set from Rada Cutlery. And 100% made in USA. 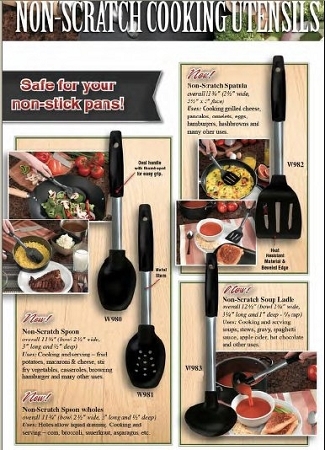 You will be able to handle any task around the kitchen with this set. They perform extremely well and are very durable. 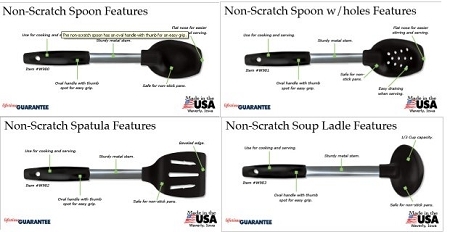 These are high quality, dishwasher safe utensils that will make life easier around your kitchen. And did we mention...made in USA! Very nice set, nice and sleek. Feels nice in the hands. The spatular is great for turning egg, as with some spatular then tips get worn, and causes the yolk to break, so am very please with this set.